I’m not normally a massive fan of Maybelline mascaras – I find them clumpy and generally not great. However, I saw this reviewed on Sophie’s blog and liked the look of it. The packaging is purple, which is immediately a plus for me. Anything purple gets my seal of approval. 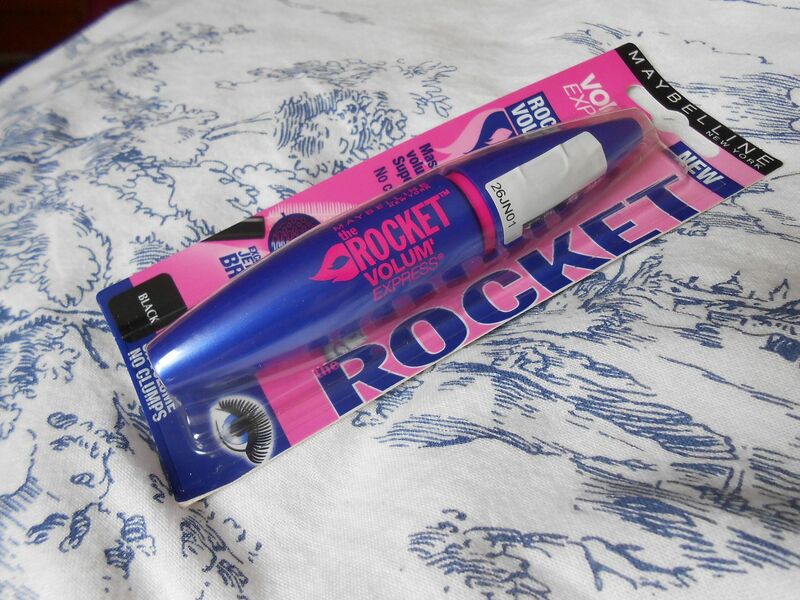 Maybelline claims that the mascara gives you ‘Massive volume in rocket time’. The brush is nicely big, and reminds me of the Covergirl lash blast, which I lovvvve! As an extra bonus this mascara comes in a sealed packet, which soothes the germaphobe in me. I absolutely hate it when mascaras in shops aren’t sealed, and people might have used them! Vom. I think this mascara does massively give you volume in only one coat. 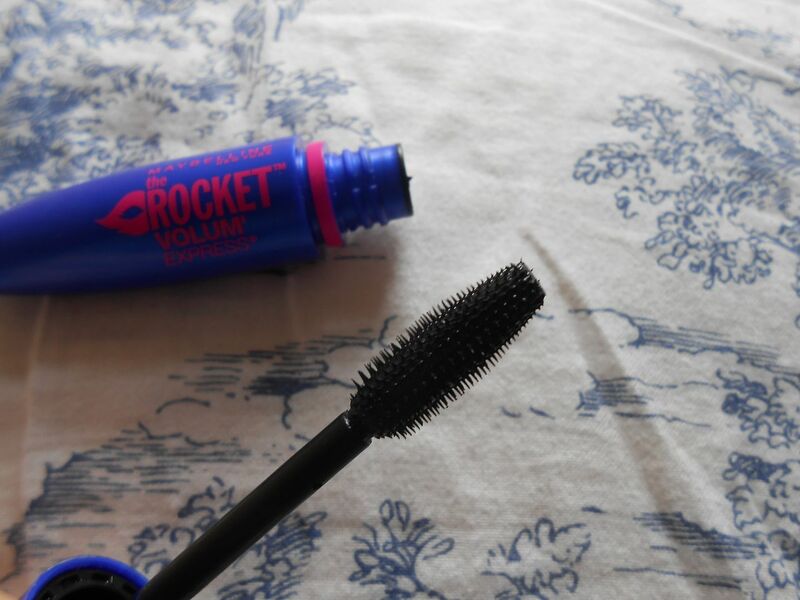 It’s basically a really, really good mascara. It’s really black and holds a curl. Are you a fan of cheaper mascaras? I am!